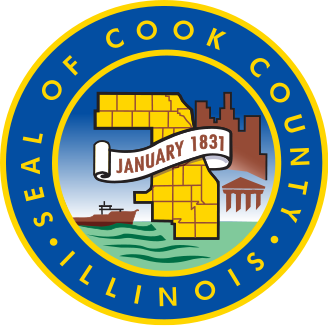 On April 3, 2017, overdue Cook County property tax bills will be sold at auction. If your property tax bill payments are up to date, you have nothing to worry about. If your Cook County property tax bill is delinquent, your unpaid tax bill can be sold at auction starting April 3rd. A buyer can purchase your unpaid property tax bill and you would owe them the tax money plus interest. If you want to check the status of you Cook County property taxes, you can visit the Cook County Treasurer’s Office website and search by Property Index Number (PIN) or search by address. Local organizations have conducted a push to inform property owners about the tax sale. “Reach out. Find out who it is in the community who owes this money,” said Cook County Treasurer Maria Pappas. There has been some confusion in regards to the tax auction caused by the property tax grace period being cut from 12 months to 8 months. Some homeowners may not realize their tax bills are now subject to auction. What to do if your name is on the list? If your property is on the list, it is recommended that you immediately call an attorney in real estate law. The Law Offices of Lora Fausett P.C. provide real estate law attorney services including mortgage foreclosure defense litigation, short sales and deeds in lieu, loan modifications and workouts, and buying & selling assistance. 2015 first Installment property tax payment information is now available at www.cookcountytreasurer.com! In Cook County, the due date for the First Installment property taxes is always the first business day in March. A law passed by the Illinois Legislature in 2009 raises the First Installment tax from 50% to 55% of the prior year’s total tax. Please be prepared for this upcoming bill on March 2, 2015.